Divorce is messy, especially when it involves young children. My opinions on this matter will not win me many “friends” during the ugliness of divorce. However, my opinions stem from the painful experiences that have come from children of divorce – and their lasting trauma due to couples who divorce without keeping them insulated. Become educated about how your children are emotionally affected during and after divorce. A great resource is from a local psychologist, Dr. Ed Farber, Raising The Kid You Love With The Ex You Hate. Dr. Farber is very clear how you and your STBE can emotionally harm or heal your children. It’s your job to manage your attorney. You have the final say on the strategy your attorney chooses. Their job is to win you all that they can with regard to time, custody and finances. Your job is to rein them in, keep in mind your intention to insulate your children from the ugly divorce process, and to spend as little money as possible to achieve your goals. I don’t agree with interrogating your children when they come home. Kids naturally tattle on their parents and this fuels anger. I know this is a difficult time, but try not to forget that YOU are the parent and they are the children. 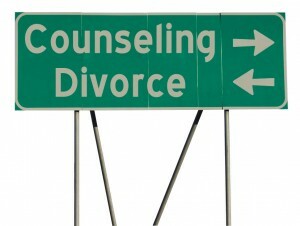 How you handle the divorce will have a direct correlation on how the two of you can co-parent in the future. Keep breathing and try to take the high road – for your children’s sake. Will my children come to any harm by spending more time with their other parent? Are they capable in other areas of their life that show they can become a good parent – even though they weren’t a good spouse to you? Will my children benefit from having a stronger, deeper relationship with their other parent? What am I willing to pay in trauma to my children and money to my attorney to get a different custody arrangement? If you truly believe that spending time with their other parent is not beneficial to your children, have this opinion corroborated by a family therapist. You don’t want your bitterness/hatred against your STBE to be projected onto your children and hurt them in the long run.